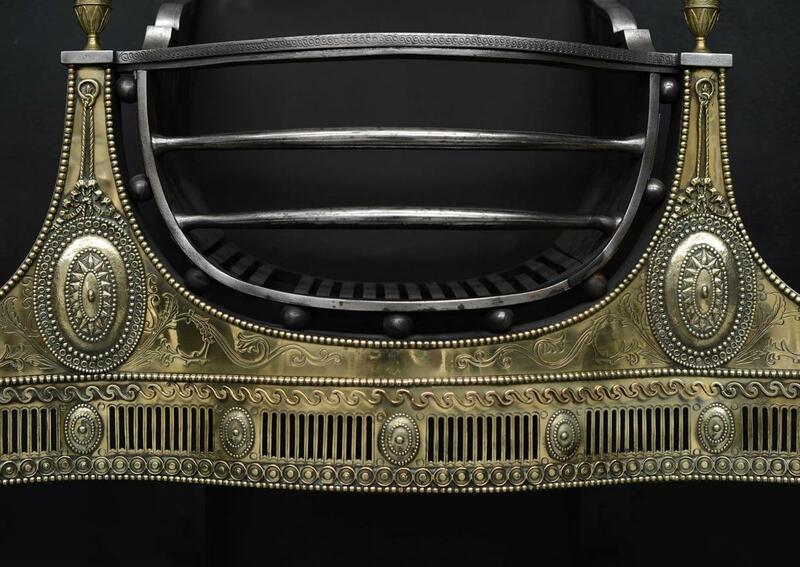 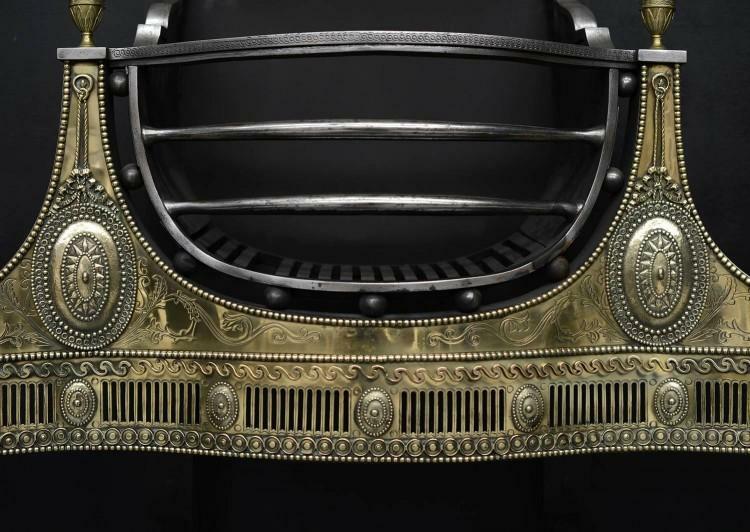 A large and impressive Adam style brass and steel firegrate. 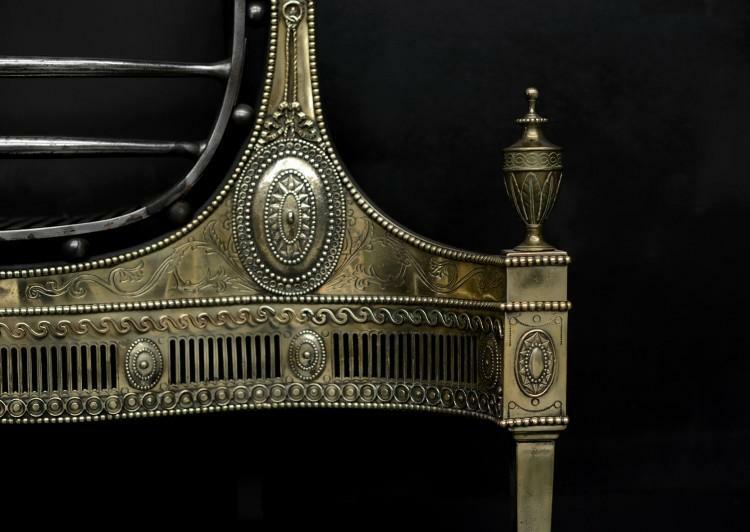 The cast fret with flutes and oval paterae, with scrolling and beading above and below. 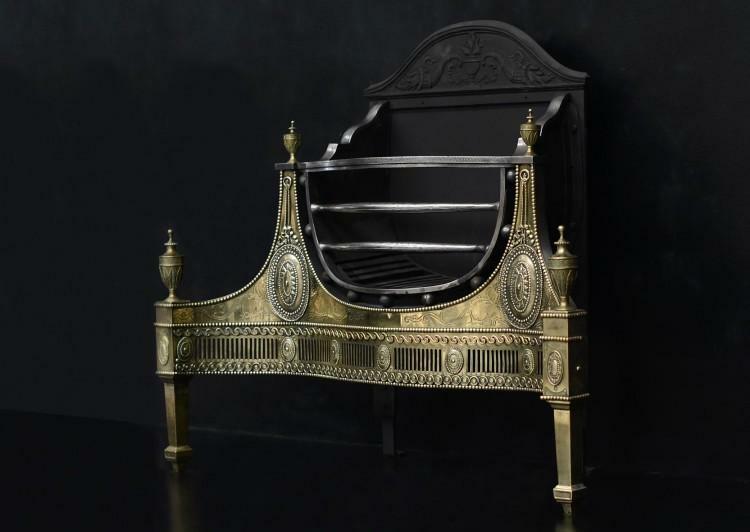 The engraved legs surmounted by elegant finials of water leaves, the front section with large oval adornments with beading and cascading ribbons above. 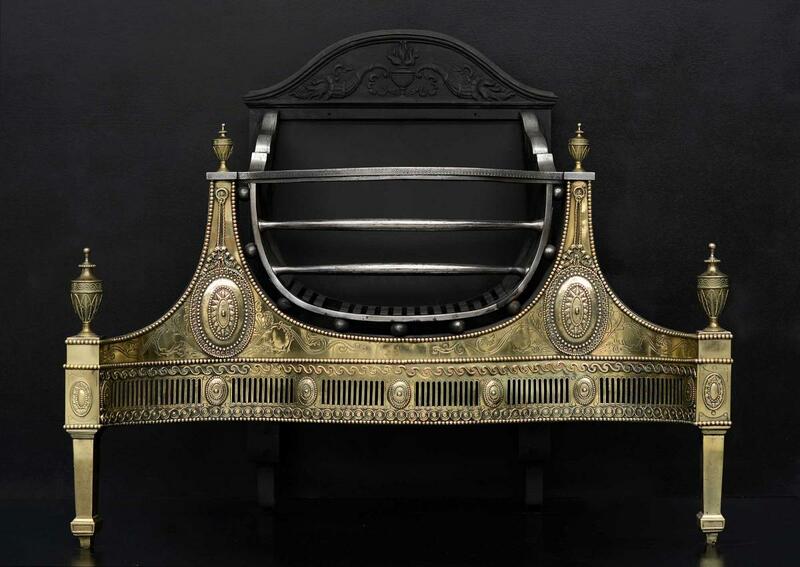 The elliptical burning area with bowed steel front bars, engraved top bar and decorative balls below. 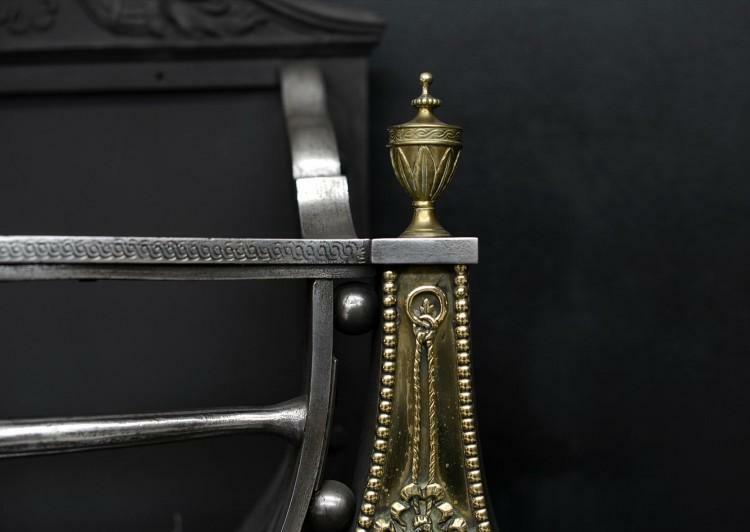 Shaped cast iron back with urn, flames and quivers.